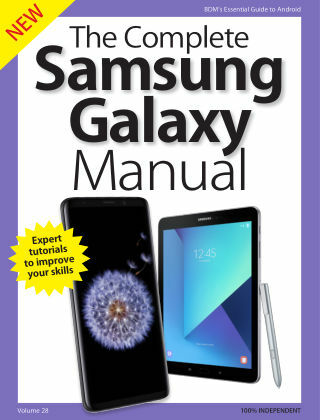 With Readly you can read Samsung Galaxy Complete Manual and thousands of other magazines on your tablet and smartphone. Get access to all with just one subscription. New releases and back issues – all included. Discover everything you need to get more from your Samsung Galaxy smartphone and tablet! Starting to use a new Android phone or tablet can sometimes seem like learning a whole new language, especially Samsung smartphones and tablets with their unique and custom features. With this easy-to-use Samsung Galaxy guide in hand, even a complete beginner can soon become a Galaxy expert. 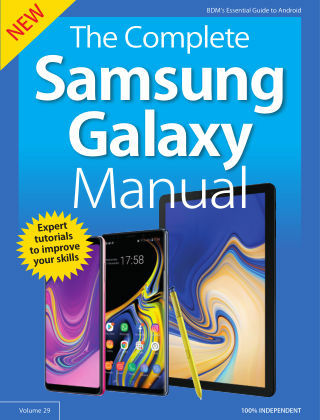 This is the perfect guidebook for all Samsung phone and tablet users, whatever your current level of experience! 100% unofficial.